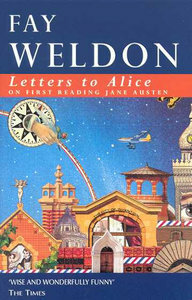 I was fifteen years old the first time I read Letters to Alice on First Reading Jane Austen by Fay Weldon. I have lost track of how many times I have reread it since then but that first reading stands out in my memory. We were studying Pride and Prejudice and, though it wasn’t my first encounter with Austen, I suddenly wanted to read everything about her that I could get my hands on. So, not knowing that Letters to Alice on First Reading Jane Austen really isn’t about reading Jane Austen, I picked up Weldon’s 1984 epistolary guide to writing and literature. You must read, Alice, before it’s too late. You must fill your mind with the invented images of the past: the more the better. Literary images of Beowulf, and The Wife of Bath, and Falstaff and Sweet Amaryllis in the Shade, and Elizabeth Bennet, and the Girl in the Green Hat – and Rabbit Hazel of Watership Down, if you must. These images, apart from anything else, will help you put the two and twos of life together, and the more images your mind retains, the more wonderful will be the star-studded canopy of experience beneath which you, poor primitive creature that you are, will shelter: the nearer you will creep to the great blazing beacon of the Idea which animates us all. Truly, Alice, books are wonderful things: to sit alone in a room and laugh and cry, because you are reading, and still be safe when you close the book; and having finished it, discover you are changed, yet unchanged. To be able to visit the City of Invention at will, depart at will – that is all, really, education is about, should be about. 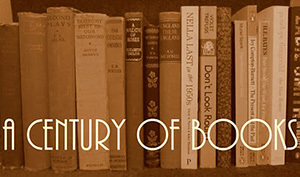 It’s absolutely the way one should feel about good books – and it’s a book I have returned to time and again over the years. I read this when I was about 17 or 18, I think, and enjoyed it – but was disappointed about the lack of Austen in it. Now that I’ve come to terms with that (!) maybe I should give it a re-read – I certainly appreciated Weldon’s love of literature. I think this was the first book I read about Austen, rather than by Austen. I was immediately captivated by the City of Invention – it’s an image I keep returning to, though I haven’t read the book in ages. Like Simon, maybe I’m due for a re-read. Funny that I picked up this book exactly for the same reasons you did. The publishing trick of having that magic word, “Austen”, in the title? I come back to this time and again as well. It isn’t anything to do with Austin but everything to do with spending time in the company of another book lover. What could be better? I’m not particularly an Austen fan, but I can’t wait to read this! Thanks for the recommendation. I read this years ago, but I can’t remember anything about it now, and therefore it can’t have made much of an impression on me. And while I’m an Austen fan (the original, not all these recent Austenesque novels, I’m not nor ever have bene a Weldon fan. Very interesting. I’ve read both Pride and Prejudice and Letter to Alice, but I still only have a rudimentry understanding of their connections. How does Aunt Fay reflect the values presented in Pride and Prejudice to Alice?